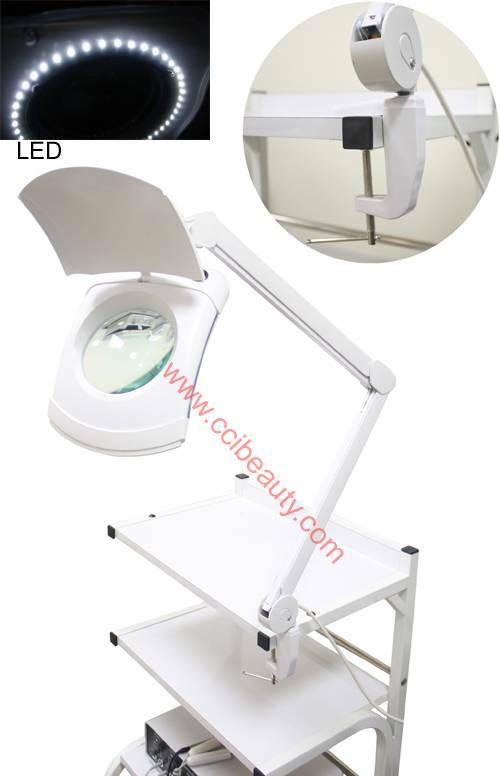 5 diopter magnifying LED lamp with adjustable clip and dust cover for lens. LED Magnifying lamp with adjustable clip and dust cover for lens. Can be easily mounted on a table. LED light uses 70% less energy compared to standard bulbs and produces no heat. Great lamp for eyelash extensions. CC-SL-TF04, 3 Level Trolley not included.